| Products | Infrastructure | Plant & Machinery | Quality Policy | Group Companies | Health / Education | Career | Contact | . 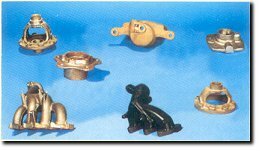 Axle Housing Sakthi Auto Component Limited is a major supplier of critical components to passenger car manufacturers. The components are Steering knuckles, Brake drums, Brake discs, Hubs , Brake calipers, Carriers, Differential cases and Manifolds etc. Presently the supplies of these components are made to Maruti Udyog Ltd., Hyundai, Ind Auto Ltd., Ford, Honda Siel Cars and Tractors and farm Equipment Ltd. etc,. 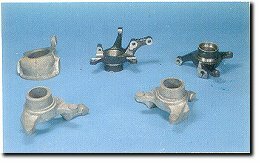 Castings meant for trucks and refineries are exported to USA. The quantum of exports per month ranges between 250 MT to 500 MT. It is likely to go up to 1000 MT in near future. Sakthi Auto Component Limited has been awarded the industrial safety awards for three consecutive years . It has also been recognised by Maruti Udyog Limited as a First class critical Component Vendor. The latest technology is leveraged to the hilt with people whose inherent strengths lie in the winning attitude and the willingness to thrive on challenges. This forms the foundation of an organisation that races into the future with the surging confidence that it would continue to contribute and touch the lives of many more people.